Fresh from wowing the crowds at this year’s Edinburgh Film Festival and going on to win the award for best British Film in the process, Francis Lee’s God’s Own Country finally sees its nationwide release this week. This deeply touching and thoroughly charming first feature has garnered the greatest amount of good will from critics and film fans alike, making it one of the most awaited British films of the year. 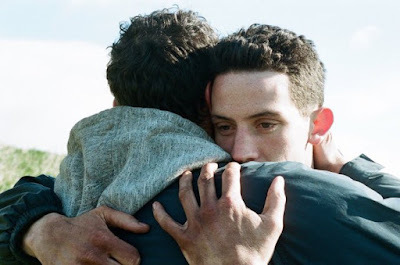 Set amongst a Yorkshire Dales farming community, and recounting a love story between a Romanian worker and the owner of a sheep farm, the film is predictably being referred to by some as the British Brokeback Mountain, but in reality God's Own Country has a lot more in common with Barry Jenkins’ surprise 2016 hit, Moonlight than with Ang Lee’s deeply flawed 2005 movie. God's Own Country is out on Friday September 1st.